Childhood food allergy, hayfever and atopic eczema are all covered in this learning plan for GPs and other healthcare professionals. The range of topics reflects the knowledge and skills that primary healthcare professionals need when diagnosing and treating allergic conditions in children and adults. Each educational activity provides key learning points and a post-test so you can check what you have learned. You can undertake the whole plan or select individual modules to meet your identified learning needs. CPD credits can be claimed for all modules completed. Dr Glenis Scadding discusses why it is important to diagnose and effectively manage seasonal allergic rhinitis, an often trivialised condition. Key learning points for healthcare professionals include pre-emptively managing patients, comorbidities and allergen avoidance. Dr Phil Marazzi presents eight cases of allergic or immune reaction. Key learning points for healthcare professionals include identifying and managing urticaria, varicose eczema, contact dermatitis and periorbital eczema. Dr Jessica Garner provides an update for GPs and other healthcare professionals on infant feeding problems. 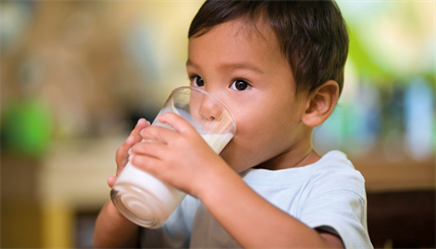 Key learning points include symptoms of cows’ milk allergy, managing gastro-oesophageal reflux, and identifying lactose intolerance.